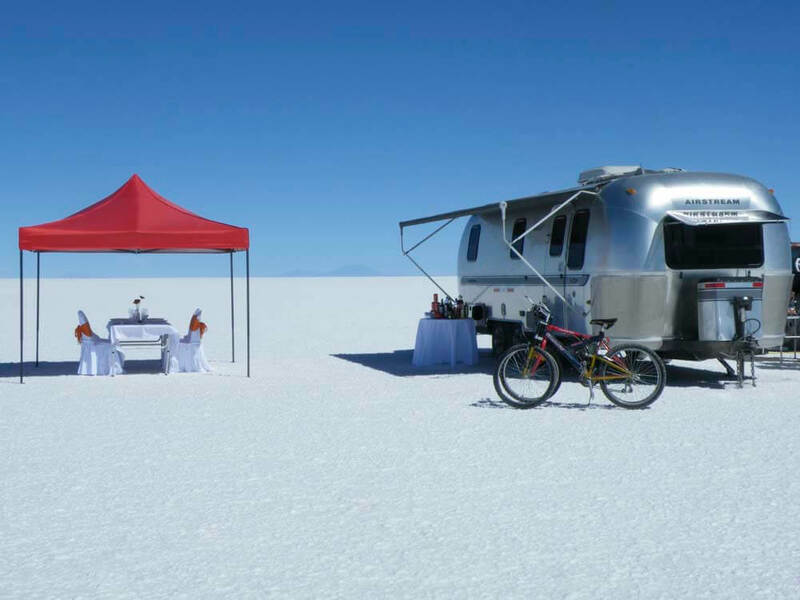 A traditional caravan holiday – even looking back to your childhood through very rose tinted spectacles – could never compare to travelling by 4×4 to stay in an Airstream Camper on the stunning Uyuni Salt Flats. When you went to bed the previous evening, the world was ghostly silver. 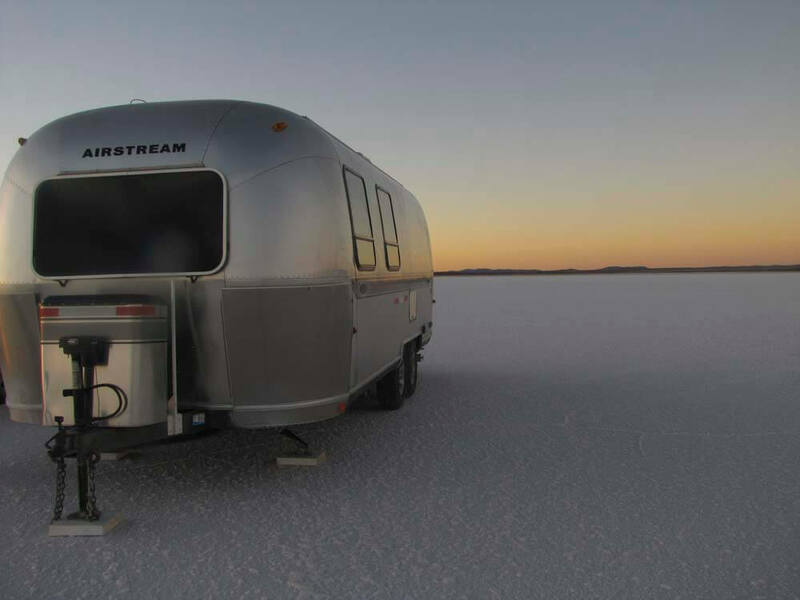 The very salt beneath the wheels of your sleek, retro Airstream caravan seemed to be one huge, shimmering reflection of the moon. 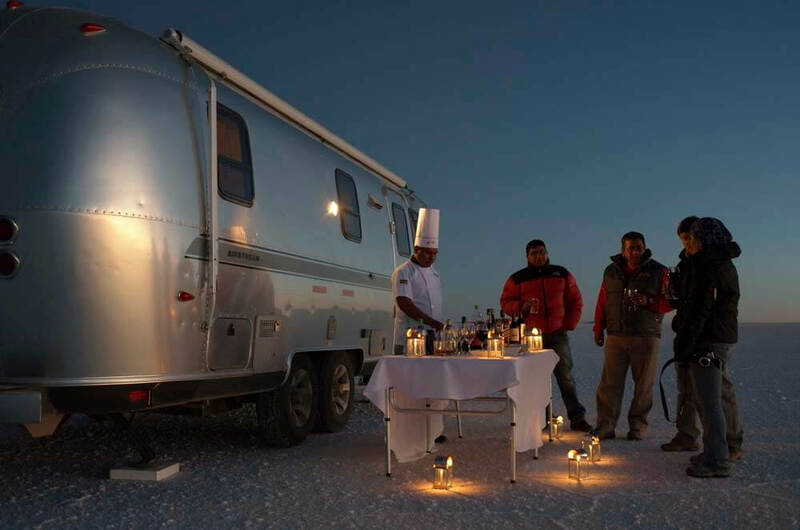 Now, standing on the doorstep of your classic American ‘van’, the world’s largest salt flats have been turned into pink gold by the rising sun. 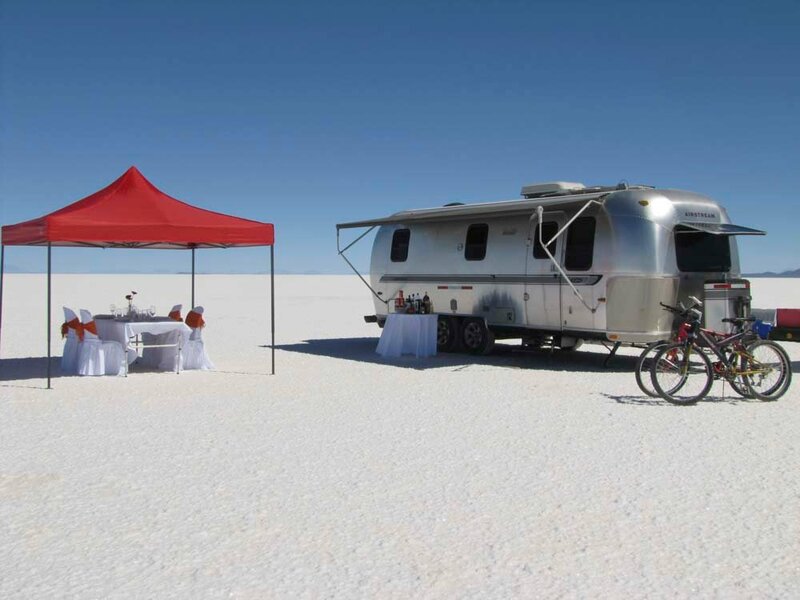 Journey by 4x4 across the Uyuni Salt Flats to your Airstream Camper for the night, an adventure that very few people on the planet will ever experience. You will travel across the eerie solitude, the magnificent silence, the endless infinity of whiteness. A different world. A virgin destination that few will reach and no-one will ever forget. 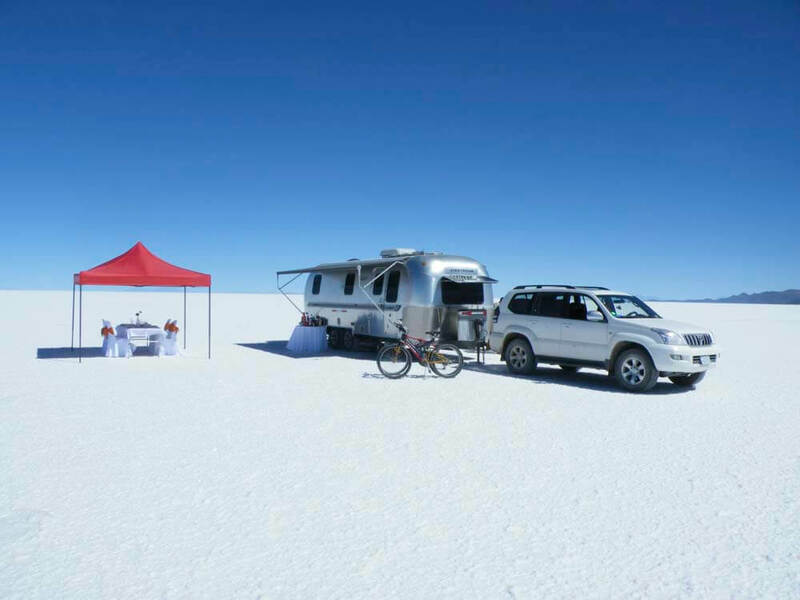 Day 1: Flight from La Paz to Uyuni. 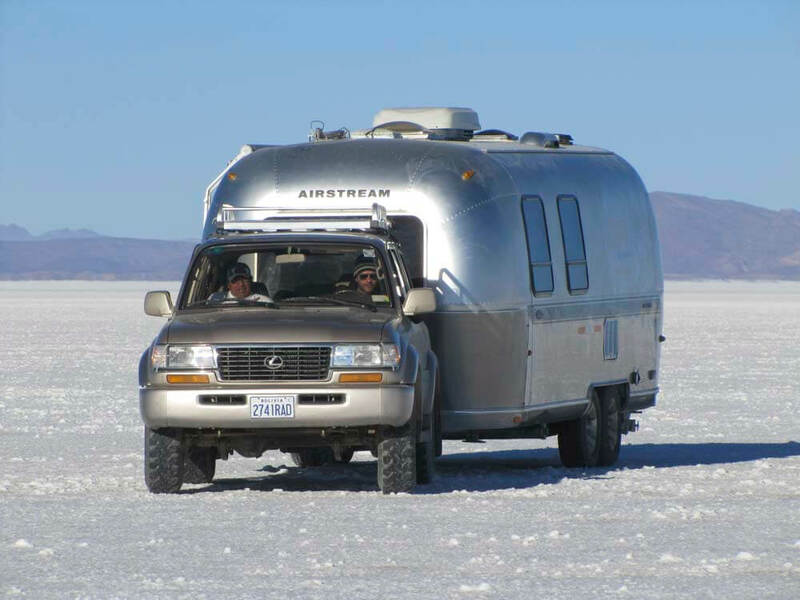 Arrival transfer - Full day excursion to include the Salt Lake & Isla Pescado. Lunch and dinner included. 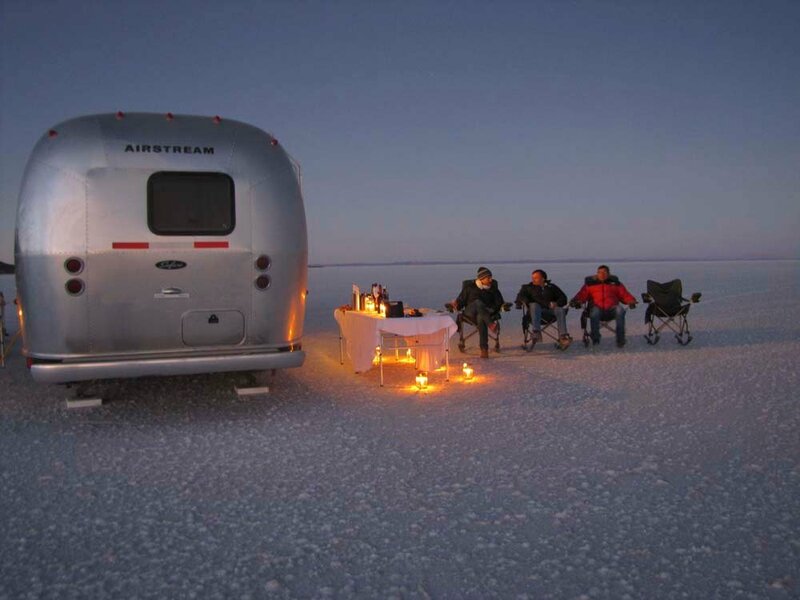 Overnight at Deluxe Airstream Camper. 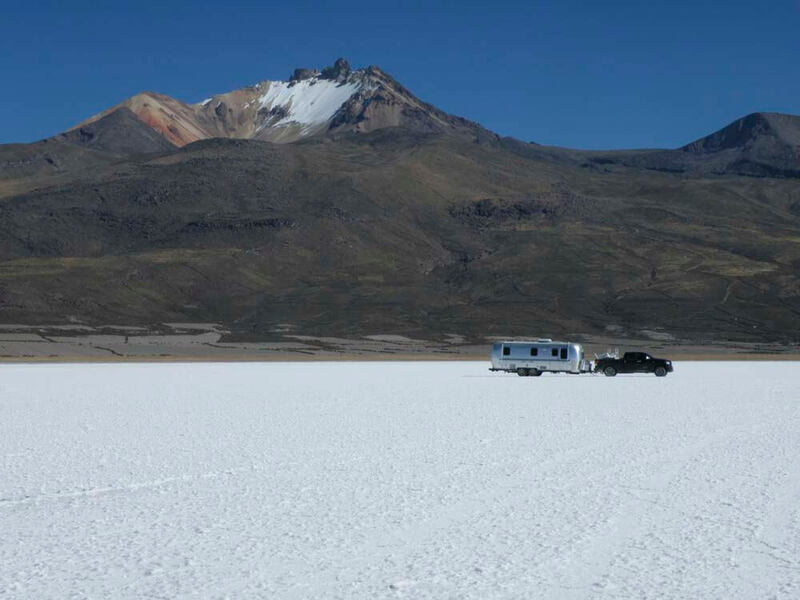 Day 2: Full day excursion to include Jirira & Tunupa Volcano. Breakfast, lunch and dinner. 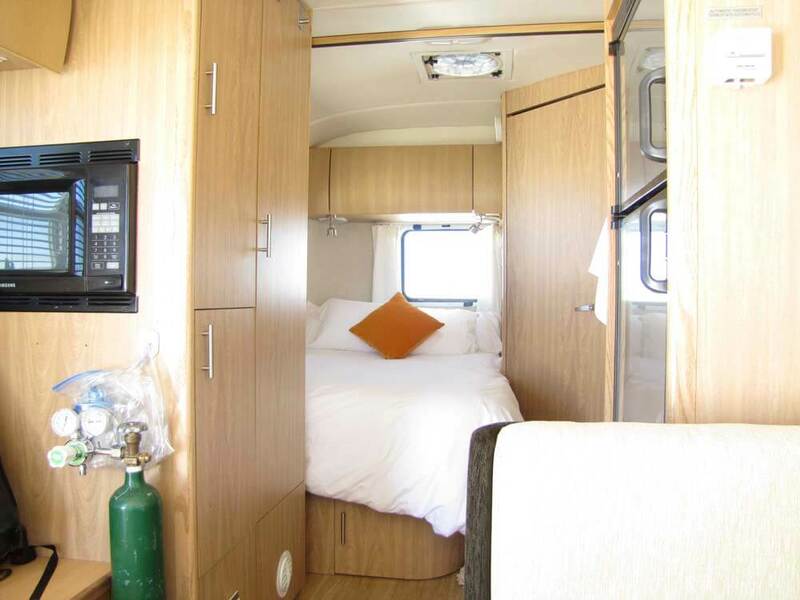 Overnight at Deluxe Airstream Camper. 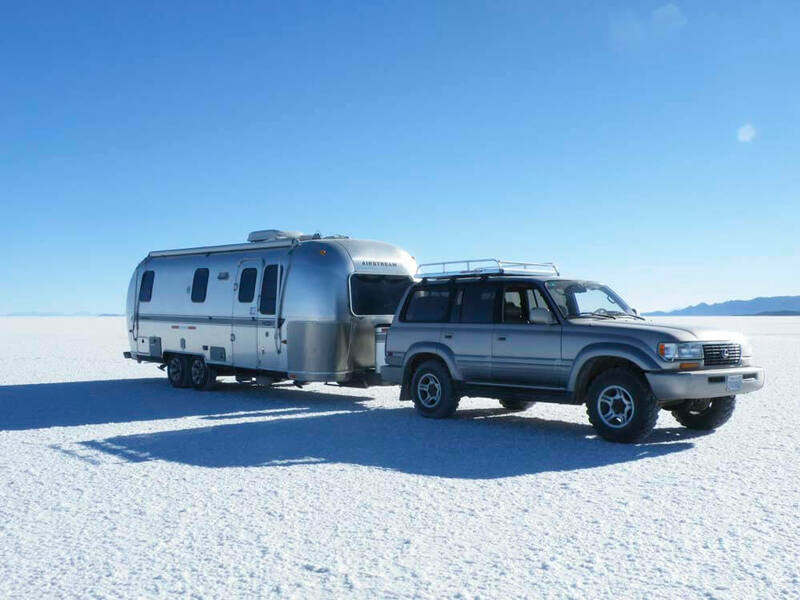 Day 3: Transfer from Jirira to Uyuni Airport, for the flight to La Paz.